This is an excellent example of repurposing! 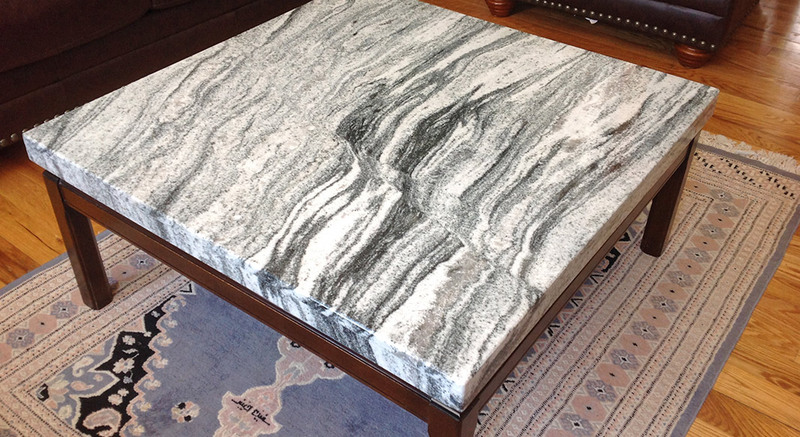 A clean mitred “drop edge” made the perfect “cap” in striking Silver Cloud granite for the homeowner’s existing coffee table. 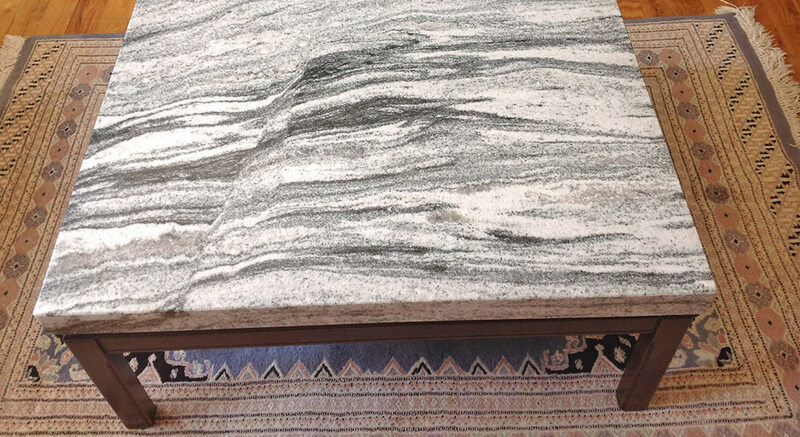 The wave pattern of the Silver Cloud granite is mesmerizing and adds that 'WOW' factor. The matching end table completes the set of exceptional durability in the home. 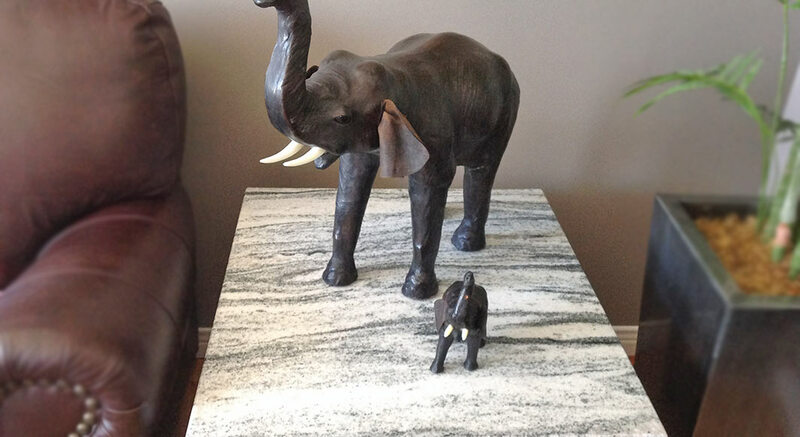 Granite is a dream to keep clean and with Northern Marble And Granite’s no stain guarantee, there is no need for coasters.